For me, a successful project must have two ingredients: Vision and Passion. If I don’t feel these I know the project is doomed, it will be a chore to work on and that lack of passion will be felt by the viewer. 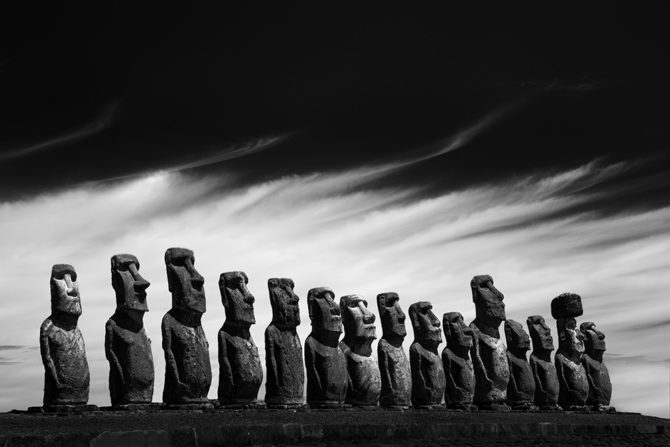 Many feel that the key to a successful project is to have a unique subject, an exotic location or an interesting technique. And while those qualities may help, only Vision and Passion can ensure success. When you have the right project, you cannot wait to get home to work on it. The right project has you getting up early and skipping meals. When you have the right project you find yourself working long hours and wishing there were more. And most importantly; when you have a Vision and Passion for your project, that energy and conviction will be felt through your images. 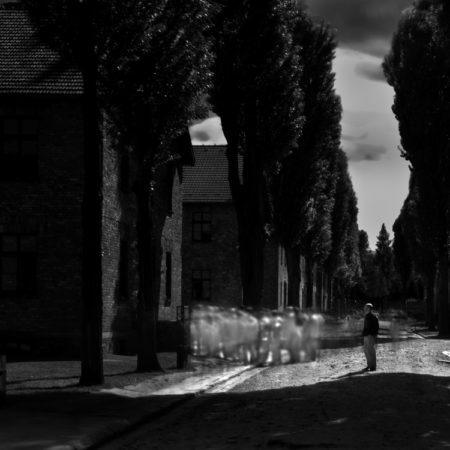 After I created the Auschwitz images many people suggested I apply the ghost theme to other locations. The idea sounded logical: the Auschwitz series had been well received and so why not leverage that popularity by using the same approach at other locations? So I started to work on “The Ghosts of Great Britain” where I created ghosts at English castles. But the project fell flat because the images were not compelling and it all felt gimmicky. So what went wrong? The project lacked Passion. At Auschwitz I felt inspired to create those images and I had a Vision for the project. I gave no thought as to how the series would be received and in fact I didn’t care! But “The Ghosts of Great Britain” was completely contrived and calculated to be popular. I did not feel that same Vision or Passion for the project and it failed. I scrapped the series and only kept the one image above. This was a great lesson for me and a mistake that I will never make again. Many people ask where I get my ideas from and I tell them that every time that I have an idea, I write it down. And then I reveal that I’ve never once used any of those ideas! Every successful project that I’ve pursued has come to me spontaneously, unexpectedly and as a sudden burst of inspiration. And then they ask: But what happens if you don’t have a project that excites and inspires you? And I reply: Then I wait until I do. P.S. I’ve mentioned “successful project” a few times now and I want to explain what I mean by that. I do not consider a project successful because it wins awards, is published, is exhibited or sells. Success for me is creating a series that I love and am proud of, and that is the only kind of success that matters. What inspires you? What gets your creative juices flowing or just gets you out the door? I would really benefit from hearing what does it for you, because it just might work for me too. We all go through periods of stagnation, where we doubt our abilities or worry that we’ve got no more in us. What causes this? Human nature I suppose. Something I do is to listen to the Beatles, they were one of only a few groups that didn’t stuck in a “success” rut. They kept changing and evolving even if it meant abandoning a successful formula. They were not afraid to risk change. How about you? Just thinking about this question will be therapeutic and posting it will help myself and others.